Julie Farrar: Who's Falling For Autumn? Autumn is speeding by too quickly. I’ve barely had a moment to stop and take in my favorite season because I’m in the midst of a rather giant project in my home life. Next week I’ll tell you more about it (I need a big WATCH THIS SPACE sign). For now, though, my glimpses of summer come only when walking the dog around the block or from the blogs of others who have had time to stop and smell the pumpkins. So while you’re waiting to hear my story, take a look at a few different perspectives on October. I’m going to start with a blog post of mine that I did in 2009. While my spirit soars when the first tulips open in the spring, as an autumn baby I’ve always loved the season of falling leaves. As someone who’s reached the autumn of my own life, I feel like I have even more in common with it. You can read here about what I consider my own autumn color. Annette Gendler is a writer, a writing instructor, and someone with an eye for great shots when she travels. While at a writing conference in Kentucky she took a detour to the Shaker Village in Pleasant Hill, KY. Her pictures show us how much art is in the simple details of their architecture. Then she takes us outside to contemplate the grace of solid stone walls that have stood forever. So take your own quick visit to a quiet part of Kentucky with Annette. Tami Clayton has written a love note to autumn in words and pictures. Do you have any more to add to her extensive thinking on why we should pay homage to it every year? Do share. Finally, gardening guru Margaret Roach is shooting for the goal of having color in the garden 365 days a year. To help with that, she’s offering up 12 trees and shrubs for great fall color. The color in her photographs makes me dream of a place that definitely looks nothing like my back yard. I’m not giving up hope yet, though. So over the weekend visit some of these blog posts in between planting your spring bulbs and leaf raking. Then come back and tell us in the comments box something about your own memories of autumn. And don’t forget to come back next week to hear why I’ve become just a ghost in real life and online. Awesome links, Julie! I might actually have time to plant bulbs this year, since my daughter decided not to play soccer any more. It's amazing how much weekend time you have when you're not running from one soccer field to another. Yes, let's say I was not sad when my kids left the sports arena. I enjoyed watching them perform, but it did narrow family experiences. I had the same thought about autumn this morning when I put the date at the top of my journal page. This is my first autumn in more than 30 years where I'm seeing the change of seasons. It's magnificent! Love Margaret Roach, BTW. Her book is awesome! I'm super intrigued to see how you've become a ghost, Julie! 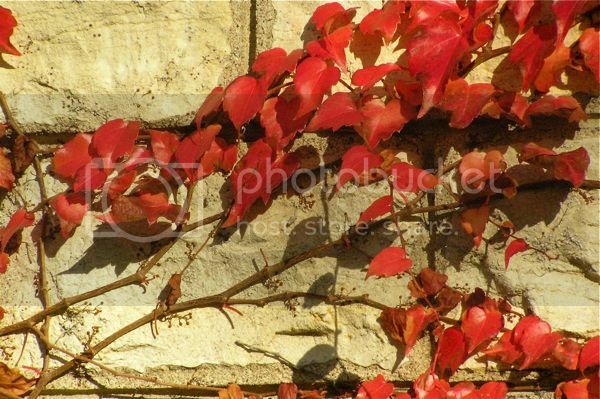 And I love your photos of autumn in Dijon. Gorgeous. Thanks so much for the mention! It really does feel like it's flying by. I love this time of year because of the colors. So breathtaking and therapeutic. Will check out some of these links. 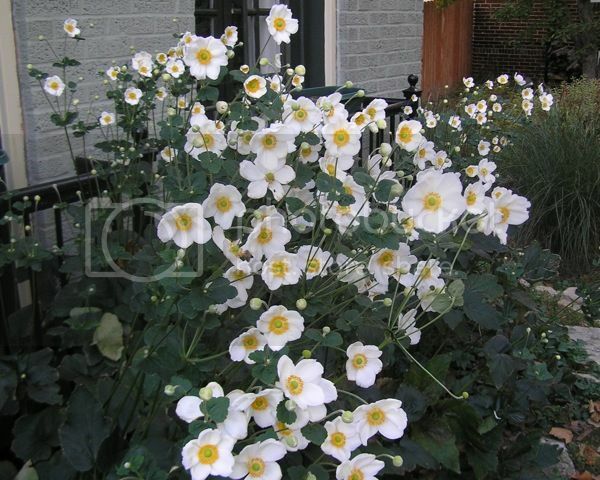 Thanks for sharing those great links and I love your picture of the white anemones. Wish I had a bunch of those--really special. Hey, Cora, anemones are pretty easy to grow. I'm working to have a 4-season yard, but I'm the only person in the neighborhood with anything but mums blooming. Give them a try. Thanks for the shout out, Julie! I'm savoring fall as much as I can this year, so more shots on my blog soon. looking forward to it, Annette. I've been too busy to take any pictures this year.